Going back to our days before we had our cat, Bear, we had Morgan’s parent’s cat, Cesar, for awhile. When we lived separately, Morgan just used a regular litter box for Cesar with no issues. Then I brought CiCi into the fold and found out she enjoys the delicacy of cat poop. 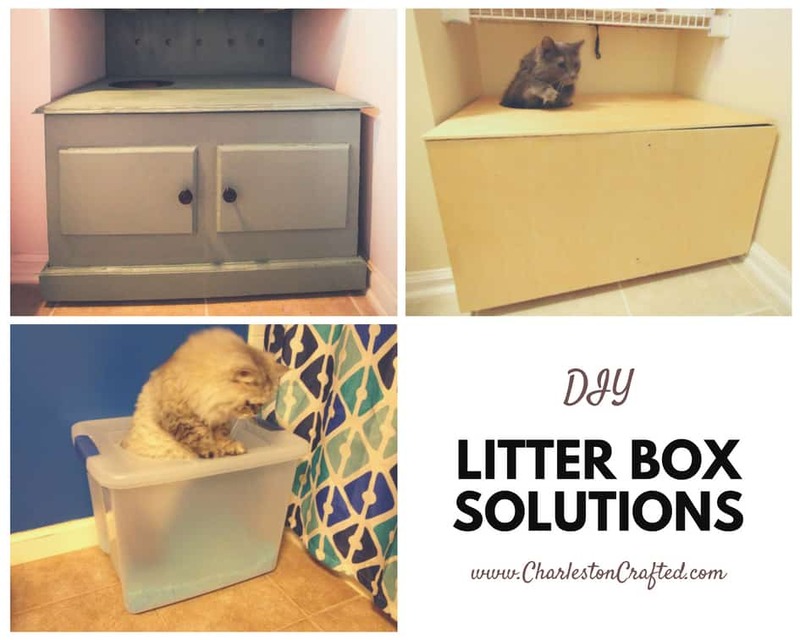 Since then, we’ve come up with a few different litter box solutions that are easy and practical for dealing with a cat and a dog. The first thing we tried was a large plastic Tupperware container with a latching lid. We cut a hole in the top and Cesar had no problems and enjoyed it. The problem was CiCi figured out how to tip it over and stick her head in the hole. 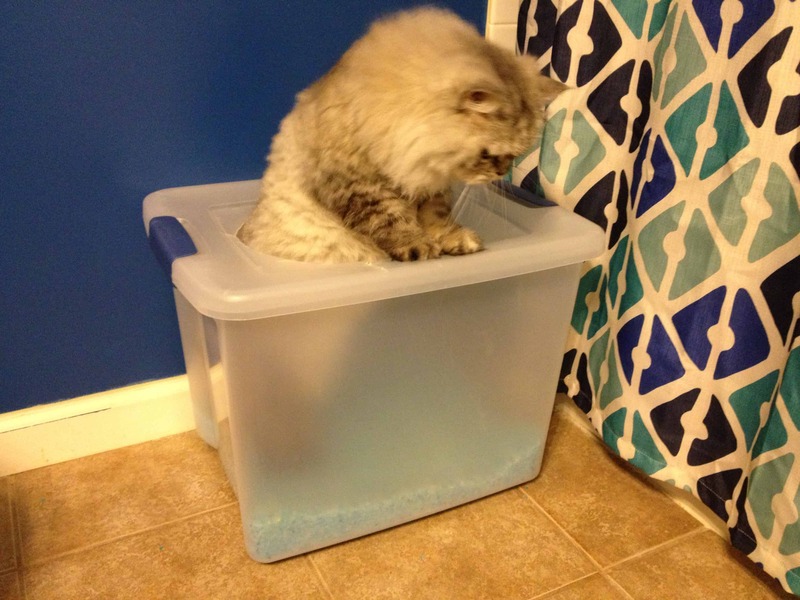 So then we used industrial Velcro on the bottom of the litter box and she could not longer tip it over and get in. 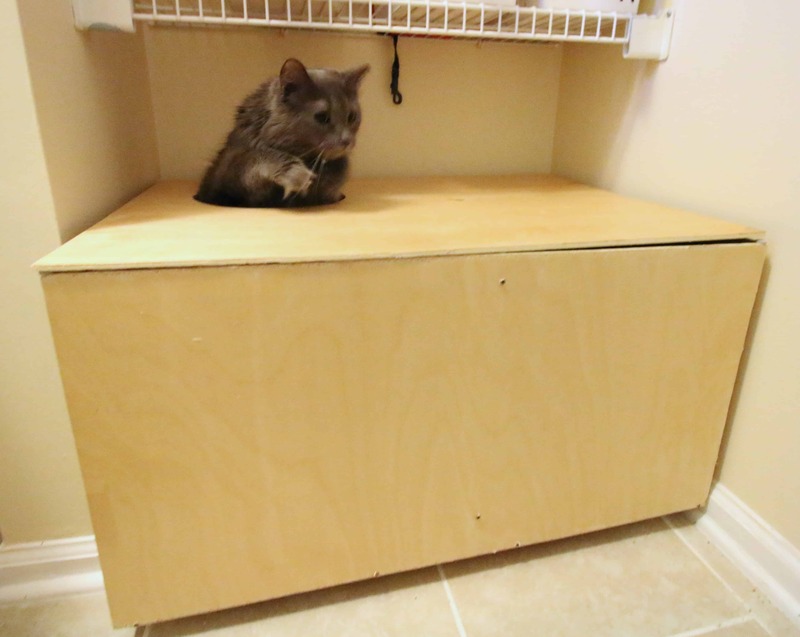 When we bought our house, we moved Bear’s area into the laundry room and built a simple top-entry wooden box out of quarter inch plywood. Four sides, top, bottom and a hole to jump in. Simple and effective and allowed us to keep her out of the sight of others. After we redid our laundry room, the old box didn’t look right. It just didn’t go with the luxe look of our laundry room. So we built a sturdy wooden box with a hinging lid and a divider down the middle. 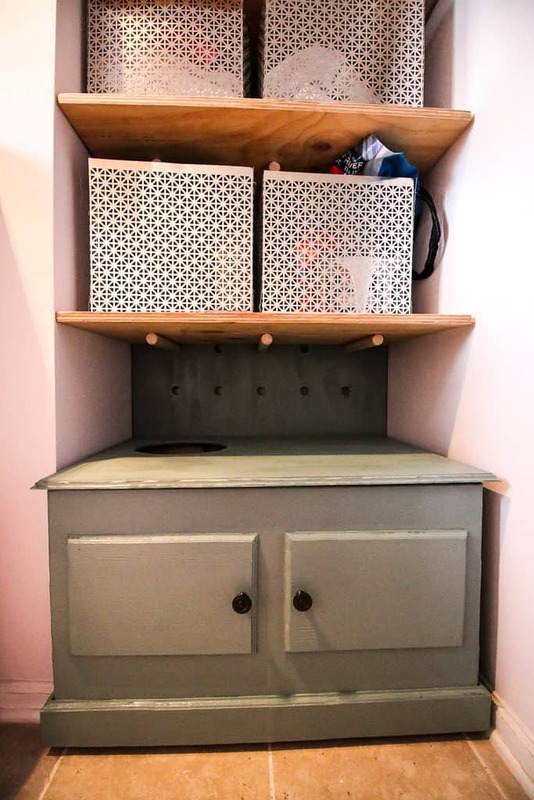 We dolled it up with faux wooden front doors and molding around the bottom and painted it to match the laundry. Now the litter box looks like a matching piece of furniture.